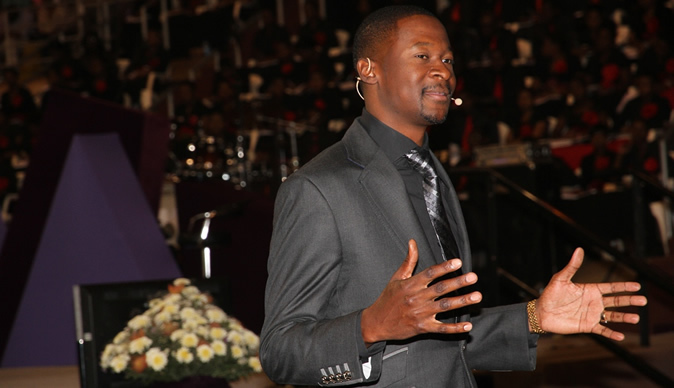 UNITED Family International Church (Ufic) leader Emmanuel Makandiwa and his wife, Ruth, have again defended their position to have a $6,5 million claim, which was filed against them by former congregants over "false prophecy", dismissed. Makandiwa filed his heads of argument on October 12, 2018 in response to an application by Upenyu Mashangwa and his wife, Blessing, which sought to have the clergy couples' application for exception dismissed for want of prosecution. The matter, which was set for hearing yesterday before High Court judge Justice Edith Mushore was, however, eventually removed from the roll in the judge's chambers and will be set for hearing before a different judge. In their combined heads of argument, the Makandiwas, through their lawyers, said: "The procedure for dismissal of a case for want of prosecution is the converse or the complement of the procedure for summary judgement. No doubt, it is a procedure available to defendants (Makandiwas) who are made to defend frivolous and vexatious suits wherein the claim is not bona fide. In that regard, it naturally follows that any litigant, who uses that procedure as an applicant (Mashangwas), must prove that the respondent therein has a bona fide claim. "The opposing papers, the pleadings in the principal case and the heads of argument therein show that the applicants (Mashangwas) have abused the process of the court." The Ufic leader said Mashangwa's application for exception was designed to shield the abuse, while his own application for the dismissal of the matter is backed by "cogent evidence". Makandiwa was slapped with the multi-million litigation by the Mashangwas last year after the business couple alleged that a "debt cancellation miracle" prophecy they had received from Makandiwa was false after they lost their house for failure to settle the said debt. Makandiwa and his wife, however, filed a court application early this year challenging the business-couples' litigation, saying the lawsuit against them was a "grandstanding to harass, vex and injure their reputation and good standing". The Ufic leader denied ever making the couple's "debt cancellation prophecy", adding that they lost their property, if any, to a third party, which matter had nothing to do with the church. In a chamber application for dismissal, Mashangwa and his wife urged the court to dismiss the clergy-couple's application on the basis that the pair had failed to timeously prosecute their matter. But Makandiwa and his wife, Ruth, said they had failed to timeously file their court papers as a result of prior commitments by their lawyers.